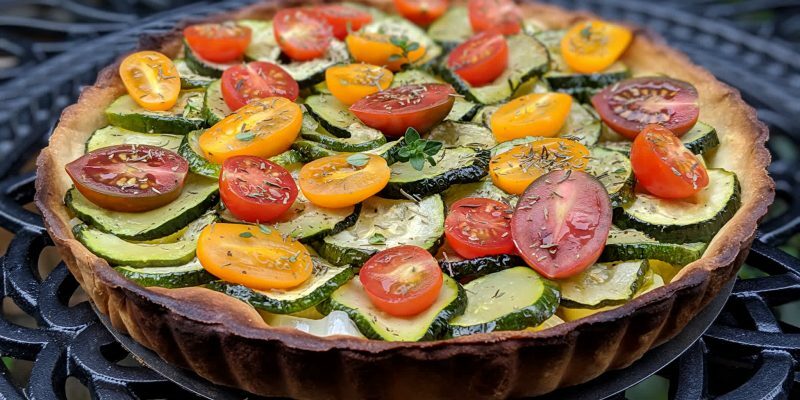 Layla’s leek and zucchini tart recipe uses olive oil, tomatoes, thyme, no cream and can be made with a classic or vegan tart dough. 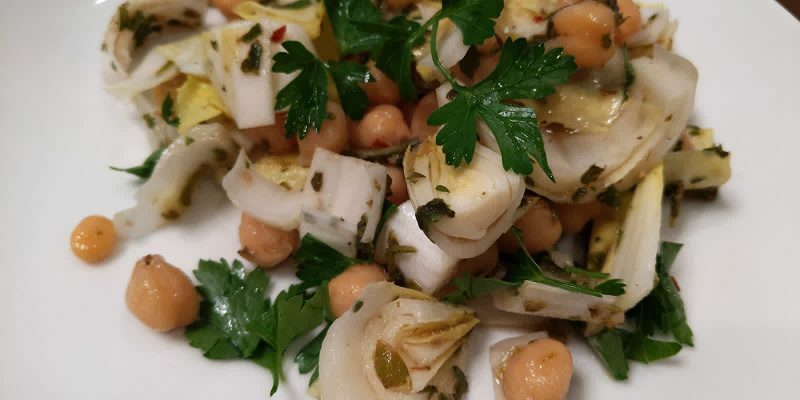 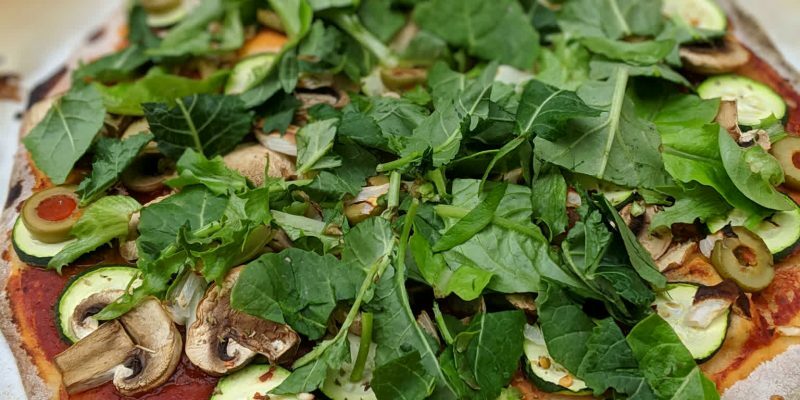 This endive garbanzo bean salad with oil-free chimichurri sauce with parsley can make a light appetizer as is, or a full meal with a base of rice noodles. 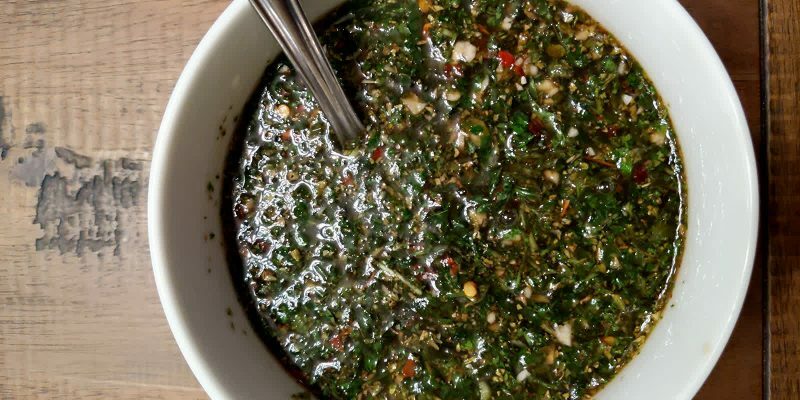 This chimichurri sauce without oil or salt takes the wholesome ingredients from the traditional latin recipe and makes a tasty dressing for appetizers. 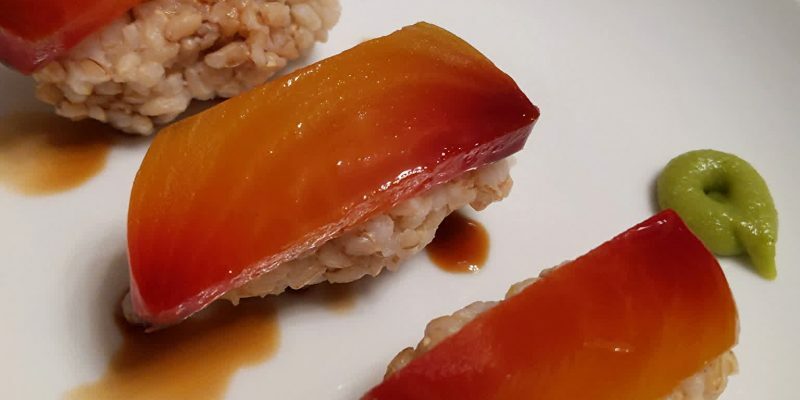 These golden beets nigiri sushi make a perfect vegan recipe without fish, using brown rice, golden beets, soy sauce and wasabi. 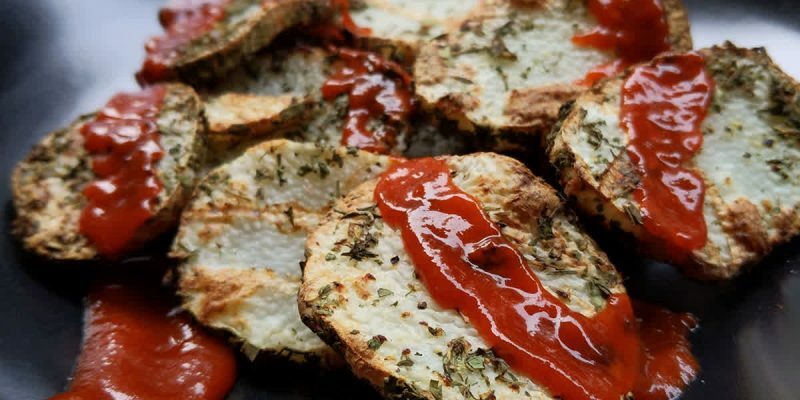 These nagaimo chips in air fryer are prepared oil-free and seasoned with herbes de Provence, ground black pepper, and optionally hot or dipping sauce.